Yep, I bet you were expecting to see a fat person – right! Well, Botero does much more than that and hopefully if you read this full article you´ll start to understand a little more about this man – an artistic legend in his own lifetime – and his art. Of Caricature & Commercialization . . .
Fernando Botero is Latin America´s most well known and highest quoted living artist, yet his work is often described by its detractors as caricaturist and too simplistic. Such are the problems faced by world renowned artists – sigh! However, in some ways I have to agree. There is a high degree of caricature in his work but it is not aimed in any particular direction and as such is not looking to create satire or mockery as is normal with caricature – except perhaps in a self-effacing way. 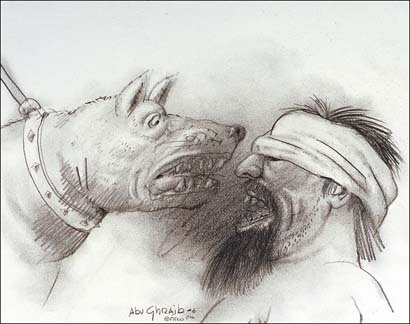 What some perceive as caricaturesque in his work I simply believe is his style. No more, no less. The other accusation is that Botero sold his soul to the devil of commercialization. Again, I have to agree – but let me explain what I see and feel about his work. I know many artists and they are often different to you and me – us “normal” people. Botero is an artist and so he is probably different. 99% of artists just want to express their ideas so it is not unusual that when an idea becomes a hit for an artist – usually after many years of exploration – either through an internal search or via reasoning and study – that they will take that idea to its limit. That is all that Botero has done – but yes, after 30 years of exploration it is impossible for him to develop it much more: His original idea being how the inter-relation of components in a drawing or painting can distort or shape what the viewer perceives. That idea rapidly developed to what in the mid-eighties became his trademark – fat people. Nowadays the initial relationship between items in his latest works is largely lost and has been replaced by what people believe they have been seeing over the past two or three decades – fat people. And it is here that the commercialization of his work began – with an easily recognizable trademark that most people can understand. But we also have to look at the art industry which since Warhol has been transformed. Art through poster reproduction has been allowed to enter everyones home. So is Botero at fault because his art was commercialized because it could be commercialized? I don´t think so. Very few artists I know have a $ dollar sign in front of their eyes when they work. It is just NOT what motivates them – and I am sure Botero is no different. There have however been another two persistent themes in the artists work: His integration of history (generally euro-centric) as related to the arts in his work and of course a relationship with his native Colombia. Given that Botero went to live and study in Europe while still a teenager says a lot about the man and his desire to learn. In those days the world was a much bigger place and in the concept of a trip to Europe at that time was still a huge enterprise. To leave home and travel so far was no mean feat – he really had to have had a massive desire to learn his trade to have made that effort then. So having traveled to Spain and France he finally settled in Florence and it was there that he started to discover himself as an artist- that he wanted to re-invent the volume that has originally been discovered in Florence only 500 years earlier! . . . and set it to his own works. And he was successful in that. So, in many ways, although Botero says it was an accident that he made his discovery of volume. I believe it was a much more due to a well orchestrated happenstance or Jungian synchronicity. Or to state in another way: The more one studies, learns and practices the greater one becomes. What happened in Florence was a NATURAL occurrence destined to happen to someone intelligent and brave enough to go out and explore – not dissimilar to a 15th century adventurer discovering a new world – yet recognizing that it has similar attributes to the one left behind. Botero has built up within his work a reflection of the art history that he has studied and he has reproduced that in his own personal way. For me the culmination of the artists work lies in his expression of the incidents created by the US soldiers at Abu-Ghraib in Iraq. Although he toned down the political significance when the works were released to the public in 2005 there is no doubt as to the depth of what he is expressing in historical terms given the artists trajectory – being pretty much a quiet and private person he probably didnt really want to rock the boat – but anyone who knows recognises that Botero, intelligent as he is, has figured out that these are the works that will mark his name in the annals of history when people look back in a hundred years or two hundred years from now. They depict the America of George Bush. Now I heard some say that Botero was just looking for publicity and that is why he chose Abu Ghraib as his subject matter – personally I doubt that. 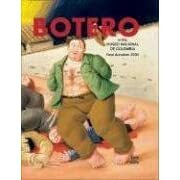 Colombia has had its unfair share of violence over the last few decades and that was one of the topics that also moved Botero to create some of his more violent works in the nineties as can be seen in this book available from Amazon. Like to see which Botero posters are available? Just click that link! Wondering about the prices of Botero´s artwork – check them out on the net.